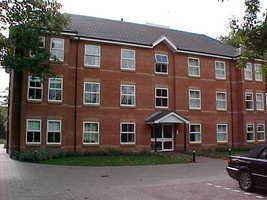 A 2 bedroom unfurnished ground floor flat. 2 double bedrooms, 1 with fitted wardrobes. Large living room. Kitchen with gas hob, electric oven, washing machine and fridge/freezer. Bathroom. D.glazing. Gas ch. Secure off road parking. Printed: Thursday 25-Apr-19 13:29:14 BST. We hope you might find a suitable property to rent though our agency and enjoy the experience of dealing with our friendly yet professional team dedicated to offer you a smooth transition into and out of rented accommodation. We are members of Arla and adhere to best practice procedures and with 25 years experience within the letting industry we feel we are well placed to advise you on the best course of action before during and after renting accommodation. Most properties we let are taken on with our management services and therefore we are here to help you and to look after the property throughout your tenancy. We confirm our administration charge for any new letting is £420 inc VAT (per tenancy, max 2 tenants) and per additional tenant is £120 inc VAT (Per Tenancy). Tenants may also be charged as follows: Extension of a tenancy - £90 inc VAT l Check out - £90 inc VAT l Change of Occupancy Under Contract - £90 inc VAT. Some properties are under a non management instruction whereby we introduce you to the property and then you deal with the Landlord directly thereafter. We will explain to you how we operate in regard to our charges and how holding deposits are taken to secure a property for letting. You will receive the necessary paperwork to confirm where and how your deposit has been registered. We have a professional team of tradesman who we rely on to service the properties under our management and we hope you will find them efficient and helpful. We can introduce cleaners and carpet cleaners to assist in helping you through the tenancy or during the finalizing of tenancy. Please do not hesitate to ask for our help or advice in all matters regarding renting accommodation though our agency. * Please note that all calls are recorded for quality and training purposes. (c) 2010-2019 Quality Residential. All rights reserved. Website Created by Astley Whittle Ltd.